Preservation New Jersey and the New Jersey Jazz Society are pleased to welcome jazz pianist Luiz Simas back to the renowned acoustic space of the 1867 Sanctuary with special guest, flautist Barbara Blonska. 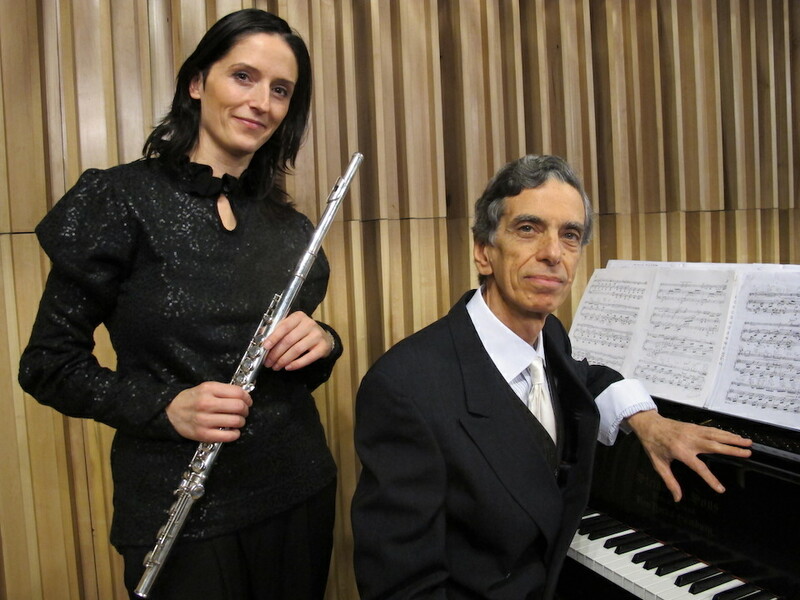 They will perform a program of Brazilian music and classical works by Ravel, Debussy, Piazzola and others plus chorinhos and original works by Luiz Simas. Barbara Blonska is a graduate of the Poznan Academy of Music in Poznan, Poland. She has performed with the Poznan Philharmonic Orchestra and various chamber music ensembles all over the world, in major venues such as Carnegie Hall, The Karajan Concert Hall in Germany, the production of Aida – Opera Spectacular in Denmark, The MIDEM International Music Fair in France, and the Polish Consulate in Manhattan. She has also played with The Gorny Big Band Orchestra in television broadcasts throughout Poland as well as performances in New York and Chicago. Barbara moved to New York in 2004, and has since then performed at Carnegie Hall for the second time in her career, worked with the POA Orchestra, Ensemble America, the Metro Chamber Orchestra, Cosmopolitan Orchestra and the Westchester Chamber Orchestra as principal flutist. She has also added Brazilian Choro to her musical repertoire, having performed with various Brazilian artists throughout the tri-state area. Barbara also has extensive experience as a music instructor. In 2006 she was asked to be a flute coach for The New York Philharmonic’s Young People’s Concert series. Rio-born Brazilian jazz composer/singer/pianist Luiz Simas (www.luizsimas.com) is a genuine Carioca! Living in New York since ‘89, he has led original groups in jazz festivals and clubs in the US, in Europe and in Brazil. Luiz’ voice and music have warmed major venues including Birdland, the Weill Recital Hall at Carnegie Hall and Bargemusic. His CDs include Cafuné, Impromptu, Luiz Simas Live in NYC, New Chorinhos from Brazil, Recipe for Rhythm, Mata Atlântica (Atlantic Forest) Piano Suite and Transparências.